On the state program "Electronic government"
Rasulov Yorqin Gaforovich - Chairman of the Board. Reception days: Monday-Friday from 9-00 to 12-00. Place of Birth: Navai region Kiziltepa district. In 1996, he graduated from the Tashkent Pharmaceutical Institute. The post of Chairman of the Board since 01.11.2012. The implementation of the general management of the company, general meetings of the shareholders and the issues which are in complete power of the Supervisory Board are the exceptions. 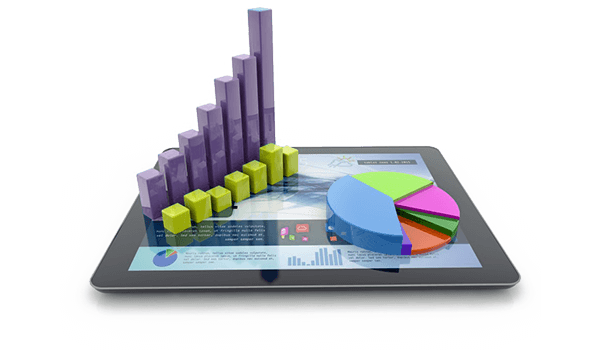 - Management of the business plans, ensuring their implementation. - Ensuring the legality in the activities of the society. - Controlling over the organization of meetings of the executive body of the Society. Khamidov Babur Ergashboy ugli, director of investments and financial issues related to the future development. Date of Birth: February 14, 1991. Place of Birth: Navai region,Navai city. Place of Birth: Navai region Karmana district. service in the armed forces. 2004-2010 years was engaged in private business. the head of the pharmacy. 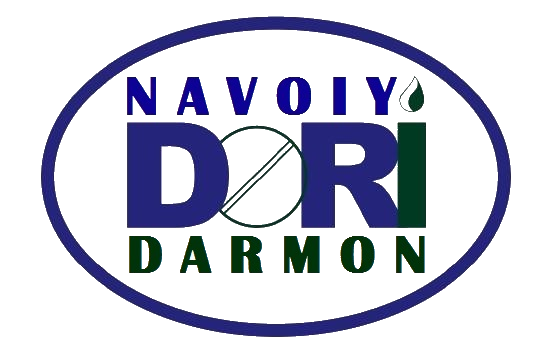 January 05, 2017, "Navoiy Dori-Darmon" joint-stock company, commercial, and worked as the director of the production. TIHE - Главная медицинская выставка Узбекистана! Person in charge of the management of the web site: Aziz Gafforovich Salimov, the system administrator. 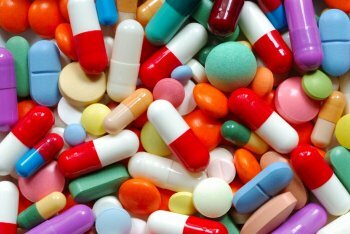 JSC "Dori-Darmon" and its territorial divisions are the main supplier of drugs in medical institutions of the Ministry of Health, Ministry of Defence, Ministry of Internal Affairs, National Security Service and other medical institutions of the Republic. For newly added news site in book form, enter your e-mail. When copying material from the site indexed url is required! Found a bug? Select the erroneous text and press CTRL + ENTER. THE SITE HAS FUNCTION VOICE READING SELECTED TEXT. TO LISTEN TO THE TEXT, SELECT THE TEXT YOU WANT AND WAIT FOR A COUPLE OF SECONDS. 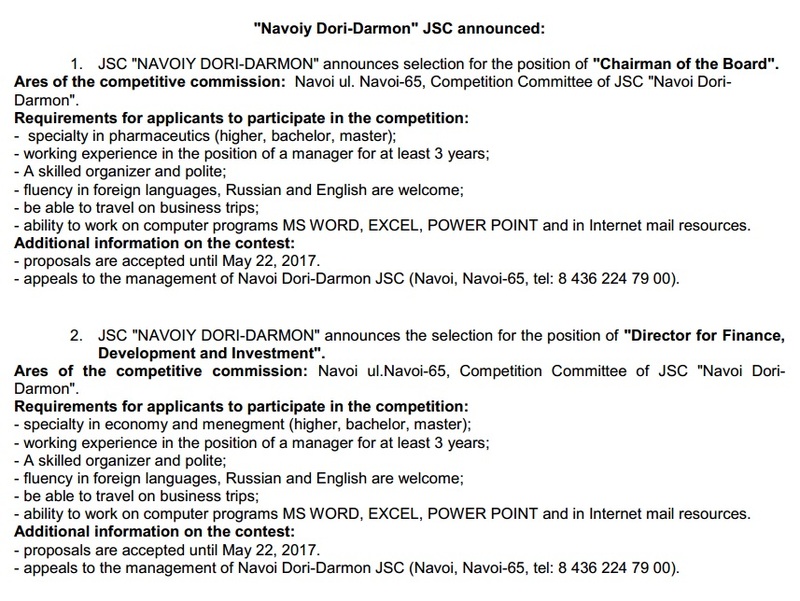 Addresses, phone numbers, details of all pharmacies of JSC "Dori-Darmon Navoi".